My old pal, Robert Coalter, and his team of volunteers at the Sons of Liberty Museum are developing a massive database of information about America’s downed and missing airmen since World War One. They are making this information, long buried in US Air Force and other government files, available to the public and readily searchable. It is an intensive labor of love, and Mr. Coalter’s point of pride to honor America’s fallen airmen. He cares about it that much. If you care about it even a little bit, help out the Sons of Liberty with a donation. All of this got me thinking about America’s first air warriors, who went into battle in France a century ago. Our young pilots eagerly engaged the Kaiser’s experienced airmen. Trained predominately by the French, our early fighter squadrons were equipped initially with the Nieuport 28, a maneuverable but fragile aircraft that had not been accepted into the French air service. 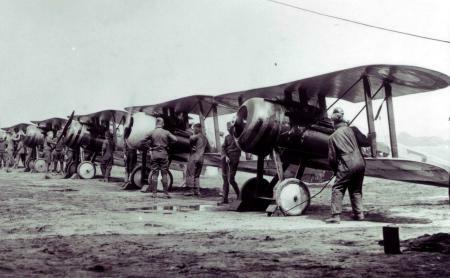 Without combat aircraft of our own, American squadrons gladly took the French craft into service. On July 14, 1918 an early, significant figure in American aviation history lost his life. 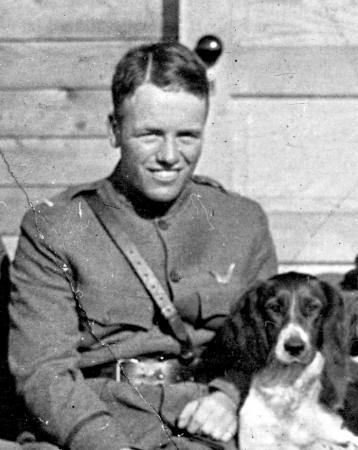 Lieutenant Quentin Roosevelt, the youngest son of former President Teddy Roosevelt, was shot down in air combat over Chamery, France. 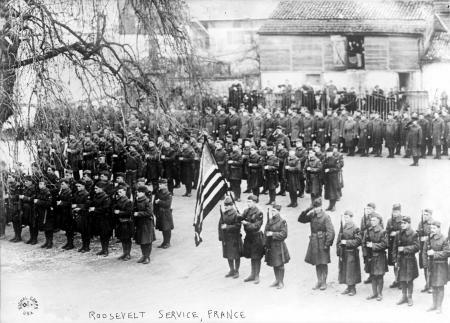 After arriving in France in early 1918, Lt. Roosevelt participated in developing the large US Army Air Service training base at Issoudun. By early July, he had become a fighter pilot with the 95th Aero Squadron at Saints, and achieved a confirmed kill of a German aircraft on July 10th. "As President Roosevelt's son he had rather a difficult task to fit himself in with the democratic style of living which is necessary in the intimate life of an aviation camp. Every man who met him expected him to have the airs and superciliousness of a spoiled boy. This notion was quickly lost after the first glimpse one had of Quentin. Gay, hearty and absolutely square in everything he said or did, Quentin Roosevelt was one of the most popular fellows in the group. We loved him purely for his own natural self. While in combat with several German Fokker fighters, Roosevelt was struck in the head by two machine gun bullets. His Nieuport 28 came down close to the front lines near the little village of Chamery. 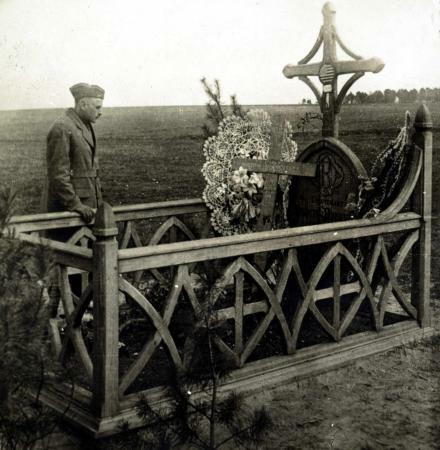 The German troops buried him with honors as best they could, using two wood slats from his aircraft to create the cross that marked his grave. “You asked me if I knew Quentin Roosevelt. Yes, I knew him very well indeed, and had been associated with him ever since I came to France and he was one of the finest and most courageous boys I ever knew. I was in the fight when he was shot down and saw the whole thing. Four of us were out on an early patrol and we had just crossed the lines looking for Boche observation machines, when we ran into seven Fokker Chasse planes. They had the altitude and the advantage of the Sun on us. It was very cloudy and there was a strong wind blowing us farther across the lines all the time. The leader of our formation turned and tried to get back out, but they attacked before we reached the lines, and in a few seconds had completely broken up our formation and the fight developed into a general free-for-all. I tried to keep an eye on all our fellows but we were hopelessly separated and out-numbered nearly two to one. About a half a mile away I saw one of our planes with three Boche on him, and he seemed to be having a pretty hard time with them, so I shook the two I was maneuvering with and tried to get over to him, but before I could reach him, his machine turned over on its back and plunged down out of control. I realized it was too late to be of any assistance and as none of our machines were in sight, I made for a bank of clouds to try to gain altitude on the Huns, and when I came back out, they had reformed, but there were only six of them, so I believe we must have gotten one. On July 18th, Allied troops broke through and captured the area where Lt. Roosevelt was buried. The remains of his aircraft remained nearby. His simple grave marker was inscribed: “Lieutenant Roosevelt. Buried by the Germans.” Roosevelt’s grave marker was vastly improved at the site. Meanwhile, the French government awarded him the Croix de Guerre with Palm. Folks back home mourned his loss. In Germany, Roosevelt was considered a military hero, the brave young son of one of America’s most esteemed leaders. America had lost a young hero. The Allies would prevail and World War One ended on November 11, 1918. But the neutral skies play no favorites, and that brutal lesson has been repeated over and over again for more than a century.